Joining the team at Windsor EMS opens the doors for you to make a positive impact on your community while taking your career to great heights. You will join a team of like-minded professionals who serve the immediate medical needs of residents across the greater Houston, Texas area. By securing one of our paramedic jobs, you will join an excellent work environment, receive a competitive benefits package and enjoy ample career advancement opportunities. While operating within the guidelines of your paramedic jobs in Houston, you will have the opportunity to help people suffering medical emergencies of all kinds. All of our team members aim to make a true difference in the lives of people we help day in and day out. You will improve your skills along the way as you learn new care techniques and utilize proven practices while helping the patients you serve. With support from your team, you can confidently respond to every type of medical emergency and provide safe transport to the best hospitals in the region. 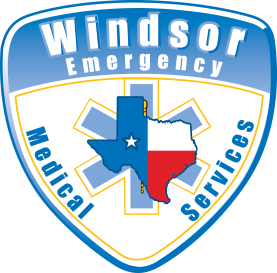 Here at Windsor EMS, we boast a phenomenal work culture that helps everyone operate at their greatest capacity while fulfilling the roles assigned through their EMS jobs. We believe that our EMT experts perform best when the work environment and culture support their professional endeavors. You may enjoy flexible shifts, appreciation banquets, tuition reimbursement and helpful discounts while working as a part of our team. Our executive team members are always available to provide support to our EMS employees whether they are out on the field or in the dispatch office. We offer advancement opportunities that allow you to actively achieve your career goals. The professionals performing their EMT jobs receive oversight and support from our dedicated QA team. The constructive criticism you receive from every job allows you to grow as an accomplished EMT throughout your career. You will learn how to best focus your self-improvement efforts while providing the community with pre-hospital care and transport. This level of support will allow you to be the best in your field while serving with the experts at Windsor EMS. To find your perfect EMT jobs in Houston, contact us today to learn more about our application process. You can also browse our listings online at windsorems.com to learn more about each available position on our roster. We look forward to helping you find and secure your ideal EMS jobs in Houston, Texas.